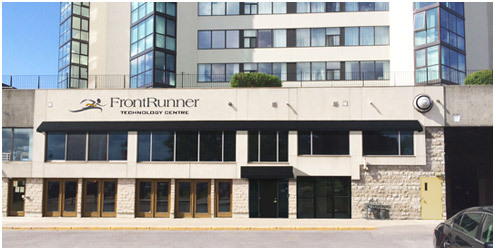 Next month marks FrontRunner’s one-year anniversary in our brand new offices. It is hard to believe that we have already been at our new location for almost one year, but where it has come is truly unbelievable. When we first started looking to expand to a larger location, it was a task that seemed next to impossible. At the time, our team was split between two offices and it lost it’s “FrontRunner team” feel. We knew that we had to bring everyone back under one roof. So, we looked and looked and looked. Finally, a beautiful 6,500 square foot commercial condo right on Kingston’s waterfront came on the market and we saw the perfect opportunity to not only have the best office space, but also to build a Technology Center for clients and funeral professionals to be able to come and learn about using technology and marketing to truly grow their business. Why Did We Build a Technology Center? As the Marketing Director of FrontRunner Professional, I speak at a lot of state and provincial conventions. One thing that I commonly hear is just how little education there is available to funeral professionals when it comes to the world of technology. I also hear that when it is available, it usually has some sales component of the speaker trying to get them to buy their product. I get it. While I speak at a lot of events, I also sit in on a lot of sessions and honestly find the same thing. If you know FrontRunner Professional as a company, you probably know that we stand up for what is right in this industry – always. If a company is stealing a funeral homes data or taking advantage of unsuspecting funeral homes, we’re the first to stand up and do what we can to make it right. When we build our software, we do it with the funeral home’s future in mind, leaving their profits, data and other valuable information where it belongs – with them. Having a space where we could educate funeral homes on the dangers, benefits and opportunities that come with funeral home technology is a perfect next step. So, when we laid our eyes on this new home for FrontRunner Professional, we couldn’t help but think about the opportunity that we could bring to funeral professionals all over. What is the Technology Center? In the early days, the Technology Center was nothing more than a cement room with a concrete floor. It was a huge space that was ours to transform into a center dedicated to teaching funeral professionals how to absolutely dominate using technology. With so much opportunity sitting in the online world to grow your business, and so much potential to save hours upon hours with the use of technology, the Center really took on a life of it’s own. As you can see from above, we put a lot of time, money and technology into the Center to make it a unique place for learning. With state of the art equipment, a team of teachers that work with literally thousands of funeral professionals each year, and expertise from a marketing, creative and design perspective, this brand new facility is the chance for funeral professionals to truly understand what technology and a proper marketing strategy can do for their firm. It’s not about sales. It’s not about FrontRunner. It’s about giving funeral professionals the space, advice, and opportunity to network with like-minded funeral professionals from all over to take their business to a whole new level. And we couldn’t be more excited! What Can You Learn at The Technology Center Workshops? As of Tuesday, July 7, the Technology Center is open for booking! 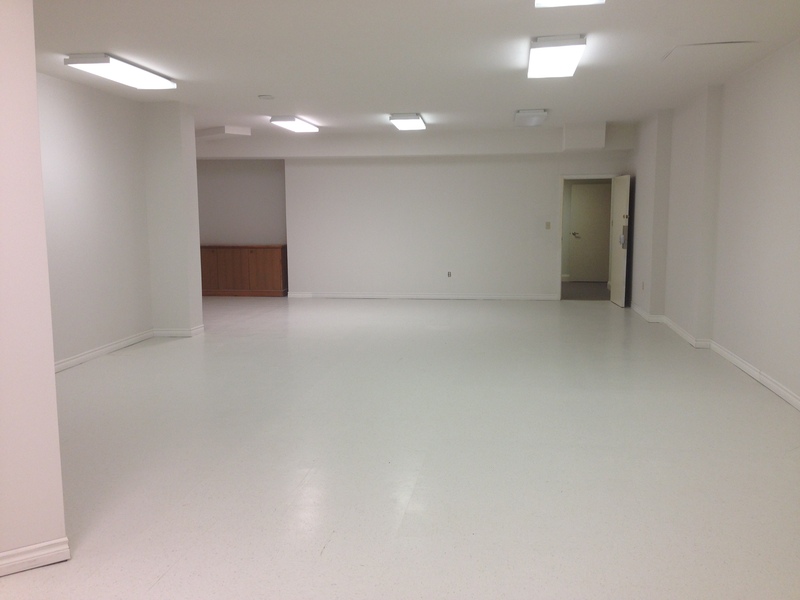 When building it, we decided to design the space to accommodate groups of 35 funeral directors. We want this space to be an open floor for attendees to learn from each other and talk about what is working and not working for them. When class sizes get too big, it becomes more of a lecture than a learning experience – I see it all of the time. This is not what we wanted the Technology Center to be. Workshops will be held twice per month starting August 19, 2015. Each workshop will be 2 full days from 8:00am to 4:00pm and have designated course material and topics, which you can see below. We will also be adding specialty courses 4 times per year for funeral professionals who want to have advanced training on marketing and diversification strategies. Attendees who choose to come to the quarterly specialty courses, can also register for the regular, 2-day event that is happening the days before it, to make it a 4-day workshop. *Note: This workshop is held twice per month starting August, 2015. Day 1: This full-day session is designed to give you the tips, tools and knowledge you need to take your FrontRunner Pulse Business System to a whole new level. You’ll unleash everything your funeral home technology can do for your firm and learn how to enhance your funeral home’s website to make it a lead-generating machine, work more efficiently by tying the many pieces of your solution together, and personalization tips using technology and marketing to help you better serve families. Day 2: With cremation on the rise, there has never been a better time to know exactly what to do to dominate the online cremation world and develop an on-the-ground game-plan to be the chosen cremation provider in your community. In this full day-session, you’ll learn first-hand from the creators of Simpler Times Cremation Business System and from FrontRunner team members who work with thousands of funeral homes each year. You’ll walk away knowing what works, what doesn’t work and how to execute a well drafted plan to dominate your cremation market. *Note: This workshop is held quarterly starting August, 2015. In this 2-day course, you’ll learn advanced website strategies to attract more families and get more calls coming through your funeral home’s website, how to position your firm as the leader in search engine optimization and social media marketing, and how and where to look for new opportunities to grow your call volume, add personalization and generate more revenue. Learn from experienced marketing professionals, and from team members who work with thousands of funeral homes each year to see what works and what doesn’t work. You’ll leave the session with a detailed plan for how to position your firm for a profitable and successful 5+ years to come. We Can’t Wait to Welcome You to Our Hometown of Kingston, Ontario! The center is nestled in Kingston’s historic waterfront community making visits as memorable as they are educational. The adjoining Delta Hotel will act as FrontRunner’s corporate accommodations partner, making everything conveniently located. And, with Kingston’s downtown bustling with great theater, events, restaurants, bars, and nightspots, visitors will want to extend their stays. The center will even showcase the new Wyland TributeArt Gallery that will be open to visitors from around the world. Each Workshop Has Just 35 Seats. Book Early to Secure Your Spot! The Technology Center Workshops are unlike anything available to funeral professionals today. They are built using real-life examples, years of experience and structure to let you walk away with an actionable, strategic plan to grow your funeral business. The future will continue to bring new challenges to funeral professionals and your success depends on how adaptive you are to these changes. Come learn with the leaders in funeral technology for more than 20 years. We promise you will walk away knowing exactly what you need to do and what you need to watch out for to protect your business. Book Your Seat Now to Ensure You Have a Spot!